Goodreads says, "Lara Jean didn’t expect to really fall for Peter. She and Peter were just pretending. Except suddenly they weren’t. Now Lara Jean is more confused than ever. When another boy from her past returns to her life, Lara Jean’s feelings for him return too. Can a girl be in love with two boys at once? In this charming and heartfelt sequel to the New York Times bestseller To All the Boys I've Loved Before, we see first love through the eyes of the unforgettable Lara Jean. Love is never easy, but maybe that’s part of what makes it so amazing." Lara Jean is dating Peter, for real now, but things are confusing, because her ex-friend and his ex-girlfriend, Genevieve, is always popping up in the picture. Peter swears that they are just friends, but it's upsetting to Lara Jean is who is new to dating and navigating the treacherous waters that sometimes high school drama brings. To make matters worse, there is a video that goes viral of Lara Jean and this rocks her world. Meanwhile, a former "love" enters Lara Jean's life (thanks to the letters Kitty sent out in book one) and she starts to have feeling for him as well. P.S. I Still Love You is a charming read. It's all about Lara Jean's journey and her experience with first love. A truly memorable read fans of Jenny Han will love. Lara Jean is one of my favorite protagonists. She felt very real to me in P.S. I Still Love You. She's quiet, an introvert essentially, but dating Peter has brought her out of her shell. She is most comfortable at home with her sisters and I love this about her. Han definitely created a character that I am sad to say goodbye to. In this sequel, there are some upsetting events that happen to Lara Jean, but I think she handles them well. Just like real life, there are many ups and downs to the adolescent experience and Han portrays this perfectly. Also, I loved Peter in To All the Boys I've Loved Before, but he was definitely getting on my nerves in this book. Don't get me wrong, I am still a fan, but I found some of his antics pretty frustrating. That's all I am going to say. And the new boy who enters Lara Jean's world sort of stole my heart as well, so cue all the drama. I loved all the vintage references in P.S. I Still Love You. Lara Jean works at a nursing home and she plans a USO/1940s dance and that was one of my favorite aspects of the book. I love that time period and the party seemed like so much fun! Plus, there were a few other swoon worthy moments that I enjoyed, but won't mention due to spoilers. "So much of love is chance. There's something scary and wonderful about that.....It could have happened lots of ways. But this is the way it happened. This is the path we took. This is our story." "People come in and out of your life. For a time they are your world: they are everything. And then one day they're not. There's no telling how long you will have them near." Fans of this series won't be disappointed by the ending. If you know me, you know that Jenny Han is one of my favorite authors and she can do no wrong. Highly recommended for fans of contemporary young adult fiction. It shouldn't be missed! Can't wait to read this one! My reading has fallen by the wayside since I discovered FNL and Riggins (Ha!) but I just got my copy of this one so will get started soon for sure. I can't wait to meet this new boy! Haha. I hear you! That should can really make you lose sight of your reading goal. I know b/c it happened to me a few years ago! haha. I am so glad you are loving it. I also can't wait to hear your thoughts on P.S. I think you'll enjoy it. Thanks for visiting. I love Lara Jean's family too. It would be nice if Kitty had her own series! I am glad you loved this one even if the first book is a little better. I know, right?! I love Kitty. She said she based Kitty on her sister. I love that. I hope you get to read this soon. Thanks for visiting, Christina! Christina, I'm so glad you enjoyed it! 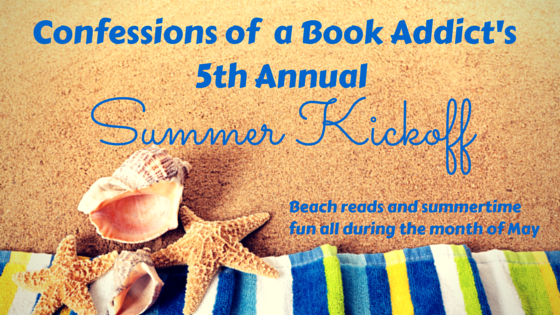 I can't believe all of your pictures with Jenny Han; what an amazing opportunity for you!! Woo hoo! Thanks, Tara! I'll be sharing my recap of the event soon. Thanks for checking out my review! I can't wait to read this one. I loved the first one. I hope you enjoy this one as well. Thanks for visiting, Linda! Am in the middle of this one. VERY good read. I love every Jenny Han book I've read so far. Thanks for recommending this one. I am so glad! 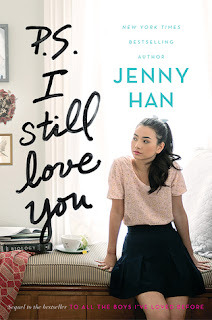 You can't go wrong with Jenny Han! :) You're welcome and thanks for visiting. I appreciate it.